Thanks so much for listening to my interview on the Among the Lilies podcast! 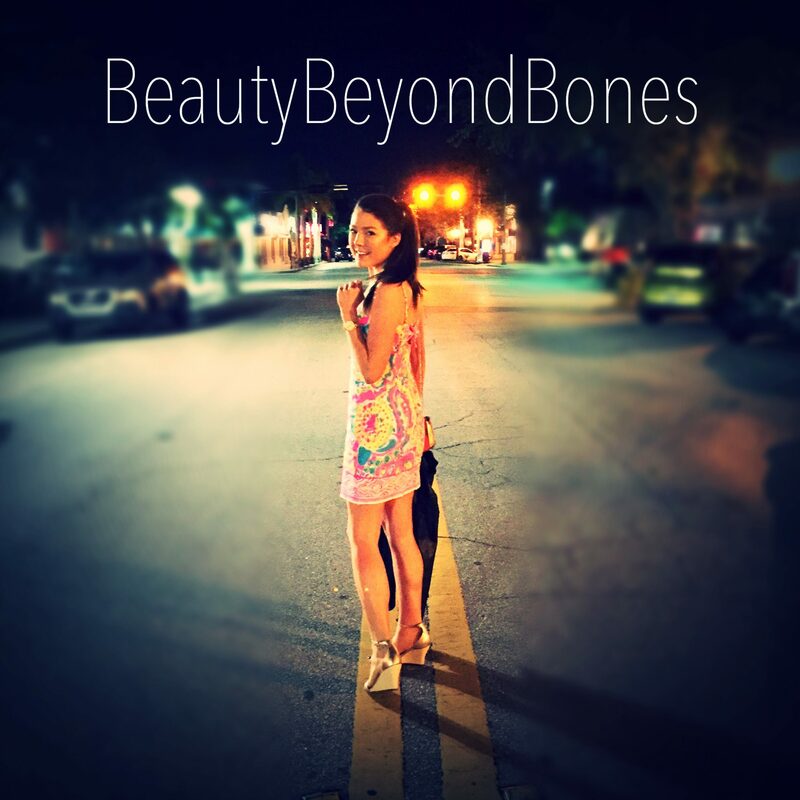 It meant so much to me that I could share my story, so thank you for your support in listening! I’m going to be honest. Now that we’re on the autumn-side of September, I am doing everything in my power to hold tight to every “last” piece of summer. The “last” barbecue. The “last” lazy Sunday picnic. The “last” episode of Bachelor in Paradise! But one thing I’m really hanging on to with a white-knuckle grip: stone fruits. Yep. The crown jewel of summer: peaches, plums, cherries, nectarines, apricots. I can’t decide if I’m more sad to see them go, or my weekly mainstay of trashy reality TV. So tonight’s recipe, they’re the star of the show. 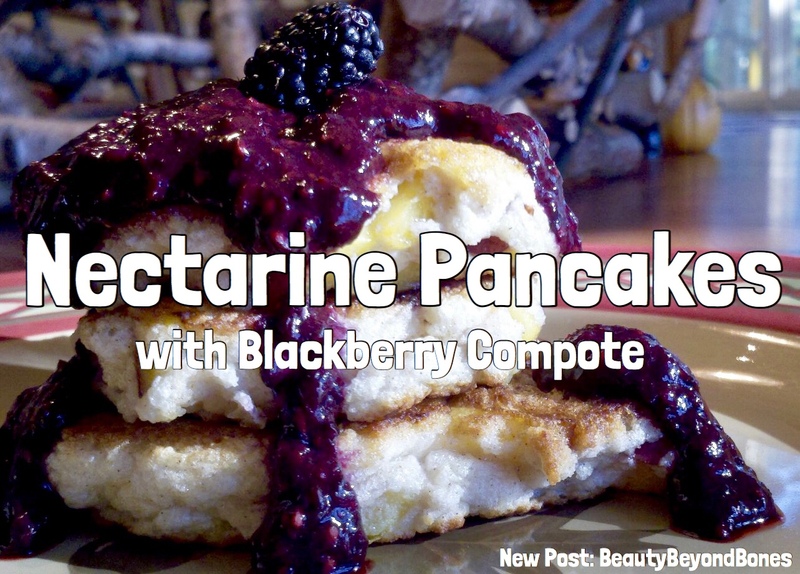 Nectarine Pancakes with Blackberry Compote! And they’re Grain/Dairy/Sugar/Gluten Free and Specific Carb Diet friendly with a Vegan Option! And they make an incredible breakfast, brunch, or brinner…every last magnificent bite. Whip the egg whites until they form medium peaks. Or, if Vegan, make your flax/chia egg. Fold in the almond flour, salt, cinnamon, and sweetener. Finally, fold in the chopped nectarine. On a screamin’ hot pan or griddle, heat 1 tsp EVOO, and scoop 1/4 cup of the batter onto the pan. Cook for about 3-4 minutes per side, until golden brown around the edges. It should make roughly 5 pancakes. Meanwhile, puree the blackberries with either a stick blender, food processor, or simply with a fork and elbow grease. 😉 If desired, run the puree through a mesh strainer to remove the blackberry seeds. This meal was simply phenomenal! Oh my gosh, these pancakes hit the spot — no no — they KO’d the spot — obliterated the spot! Needless to say, they were so good. The texture was so light and airy from the whipped egg whites, yet still chewy and wonderfully moist! And the flavor! Oooohhh the flavor. There’s nothing like a perfectly ripe nectarine. Nothing. Maybe winning a free vacation to Bali, but it would be a close second. The succulently sweet and juicy nectarine with the nutty almond flour was kissed by the sweet and crunchy blackberry compote! But the best part was that the nectarines caramelized on the hot pan, really deepening their natural sweetness. A meal fit for a queen! See ya tomorrow morning on my Podcast, Oh What a Beautiful Morning!! Previous Post I’m on the “Among the Lilies” Podcast! Next Post Come Travel with Me! we’re a pancake family…must try! Thinking of making the almond flour by roasting the almonds and then grind in a dry grinder. Definitely will give a try. Size of the chopped nectarines? Thanks! That sounds like a great idea! Small dice – roughly the size of peas. Hugs and love xox. This looks so good! And I love blackberries. Have to give it a try. It looks so yummy. I do not think you can get that from IHOP. YOU are very graciously welcome GBB! Hugs and love back to YOU!!! 🦋 A possible wheat free option. AND there’s no citrus. WOW! I’m going to try this one. This just makes me feel hungry, they look amazing!!!! Over here where i’m from we are just coming out of winter ( although it seems winter wants to hold on for dear life) and I would love to make this for my family for when the weather starts warming up:) Thanks soooo much! Sounds delicious! So exotic! Many thanks for this healthy share! Gorgeousness on a plate. Where’s my spoon? The pancakes looks absolutely amazing and delicious 😋 !! These pancakes look delicious! Sure wish I wasn’t allergic to Stevia. I could possibly add over ripe bananas to add sweetness. Oh my! That looks so pretty and yummy at the same time lol 😀 what a rich color the berries displayed indeed! Blessings to you dear! Much love <3 thanks for sharing. I may have to try and make these for my girls – I think they’ll like them!